Andy Roddick started this year off with a bang reaching the final of the Qatar Open. Roddick grinded through a tough match against Gael Mofils 7-6 (7-1), 3-6, 6-3. You could say that Andy Roddick and Gael Mofils are similar in terms of ability. They both have the necessary skills to play on the professional tour. But, there is always only one winner. “There wasn’t a whole lot between us – I just stayed the course,” Roddick said. Roddick stayed on course. His course was his game plan for the match. He stayed committed on his game plan. That may have been the difference in the match. When you stay committed to your game plan, you are decisive with your shots. You know what shot you’re going to hit and where you’re going to hit it. You’re able to dictate the point and play freely and confidently. But, staying committed is sometimes difficult when you experience highs and lows during your match. 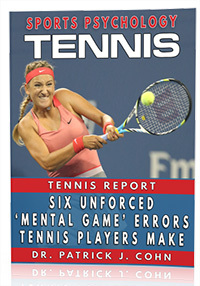 You may have a string of good points and then come up with a few unforced errors. That happens to every player, even Andy Roddick. Andy Roddick didn’t have his best moments in the second set. Roddick lost his momentum and concentration. But that lost momentum did not carry over into the third set. 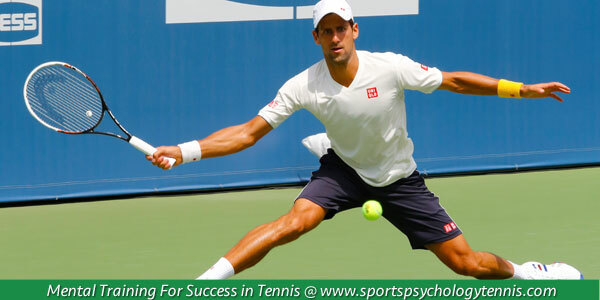 At the professional level, winning and losing the match may depend on playing better during the critical points. Roddick’s focus intensified during those critical points. He focused on what was important, not on the outcome of the match, what the media might say about his match or worrying about the last mistake he made. Roddick had some downs during the match, but didn’t dwell on them. “So it’s a matter of staying the course and not getting discouraged by it. It was a physical match but I have done a lot of hard work in close season,” said Roddick. 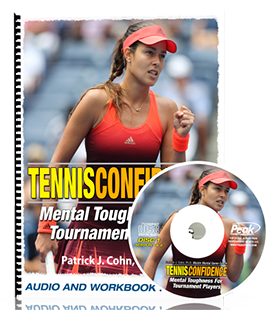 Many tennis players may lose confidence when their match isn’t going as planned. When their confidence takes a hit, it may be hard to regain that confidence. Andy Roddick’s match was exhausting physically and mentally, but did not lose confidence. He reverted back to his physical and mental preparation. He was ready for the long haul. All players experience highs and lows during matches. It’s best to trust in your game plan, stay focused on what’s important and tap into what makes you feel confident.